When it comes to good design, we all love websites that are packed full of awe-inspiring imagery, and photos that really make you feel like you’re there in that exact moment. We can’t all have the skills of a professional photographer, but what we can help with is showing you how to edit your photos to a professional standard, without having a major price tag attached. Don’t get us wrong, Photoshop is great. But not everyone wants to pay high prices when there could be a cost effective alternative. So after doing a bit of research, we’ve tracked down 6 Photoshop competitors, all with excellent editing tools and all at a much lower cost. And best off all, the majority of them are free. An impressive image editing app for Mac, Pixelmator offers fast powered tools to help alter and enhance images to make professional, high quality photos. The app has excellent retouching and special effects options, and tools to draw or paint. You can save to any format or upload on social media sites, and comes at the lower cost of £28.99. A free and open-source image and graphics editor, great for image retouching, free-form drawing, photo manipulation and adding graphic design elements. It’s available to download on a wide variety of operating systems, including GNU, Linux, OSX and Windows. A good option if you’re not in a position to invest any money on your editing tools. A nifty download for photo touch ups and edits with great options for creating photo collages, adding text and shapes, or creating new images. There’s plenty of instruments for editing, special effects and cloning. You can also remove image backgrounds and create logos with easy to use tools. Although not free, its price matches with Pixelmator and is still a fairly cost effect alternative. An online photo editor that’s free to use and doesn’t involve a download. You can use this site anytime you pop online for quick image editing and touch ups. It’s equipped with all your general editing tools, and has options for creating fonts, logos, borders and backgrounds. A brilliant and cost effective alternative that will get the job done quickly too. You can download any images you create in various formats or upload online too. 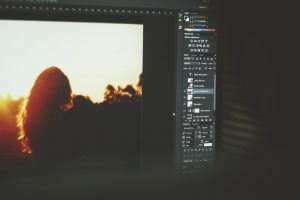 A free Windows download tool for image editing, Paint.NET is extremely easy to use and great for those with no image editing experience whatsoever. Although a fairly basic download, there’s still plenty of options for special effects, blending and layer adjustments. It also mirrors several of Photoshop’s classic tools such as curves and contrast control. A great download for minor tweaks and retouches.